We are BLOWN AWAY by the support and generosity of our Hanawalt families! Our first Read-a-Thon has been a smashing success! We are so excited for what is to come with the revitalization of our Media Center! Not only did we raise money to buy books, materials, technology, and furniture, we recorded hundreds of thousands of minutes! THANK YOU for all you did to make this fundraiser so successful…and stay tuned for the great improvements we will make to the Media Center!! Total Money Raised to Date: $11,266.10!!!!!! 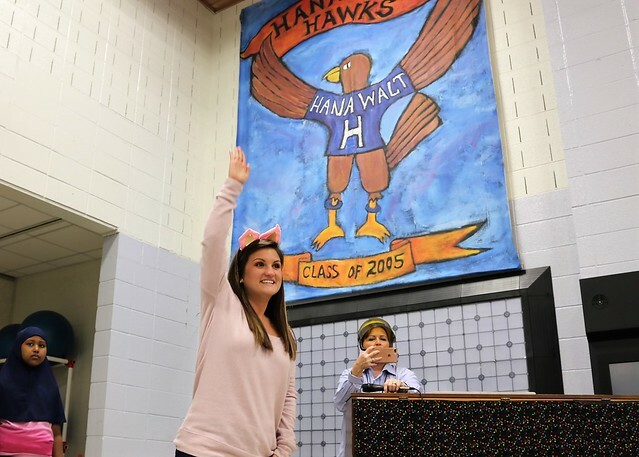 Again, a very big thank you for all that the PTA and the Hanawalt community has done! Check out the pictures from our amazing celebration.